How Can I Back up Safari from iPad to Computer? Home> Resource> iOS Transfer> How Can I Back up Safari from iPad to Computer? Q: I will regularly back up some files like contacts and bookmarks in the Safari on my iPad to the computer because I am a careless girl and I lost many things like wallet, eyeglasses, tickets and so on. I have to make a backup of the files in case that I will lose them one day. But it is really troublesome to find the files on a computer without a smart phone assistant so I am here to ask for help. Could you recommend some useful software or simple method to transfer files like Safari from my iPad to computer. Back up files from your device to the computer is a good habit because no one knows when the accidents will come. But how to perform the transferring process easily and quickly? Do not worry, here we will offer you the answer. As we know the smart phones are different from traditional mobile phones that allow you to transfer files between mobile phones and computer with a USB cable connected. 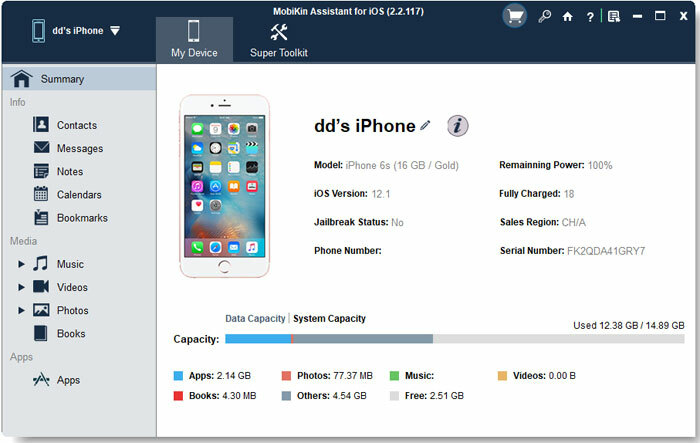 You need the help of a professional third party tool - MobiKin Assistant for iOS (Windows/Mac) to transfer files between your device and computer. Here we also offer you a brief introduction of the software. - The software is designed for iOS devices includes iPhone, iPod as well as iPad with high compatibility. Besides, no matter what generations of operating system your device runs, the software can be compatible with your device. - The files it can transfer include not only the Safari, but also the movies, music, photos, books, voice memos, etc. 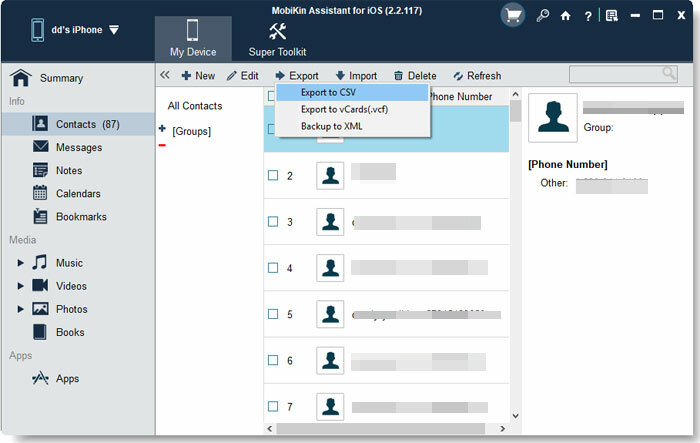 You can transfer these files from your device to computer as backup or transfer files from computer to mobile phone as you like with several clicks and within a short time. - It enables users to preview the files before transferring from different aspects, such as name, file size, author, genres and other factors. So that you can locate your target files at the shortest time. - The operation of the software is simple and easy and requires no professional skills. The whole process is also short and easy to finished. Install the software on your computer and start it. Then connect the device to your computer with the USB cable and the software will detect the connected device and you will see an interface like this with many categories on the left panel. If the program is failed to detect your device for the first time, don't worry, just click "Refresh" button to detect it one more time. Click on the "Safari" option on the left panel to preview the detailed items on the right panel. Then mark the files you want to transfer on the right panel and hit the "Recovery" button.